This post lists children’s books to help teach children and youth about these concepts. Some are even appropriate and applicable for adults. Children’s books, as they are written and presented as stories, have great potential to explain these often abstract concepts." AltSchool, a private company backed by $4 million from seed investors, opened its first school location September 2013 in San Francisco. AltSchool - What is AltSchool from AltSchool on Vimeo. This post seeks to compare the developments of the Internet-Web to those of education. 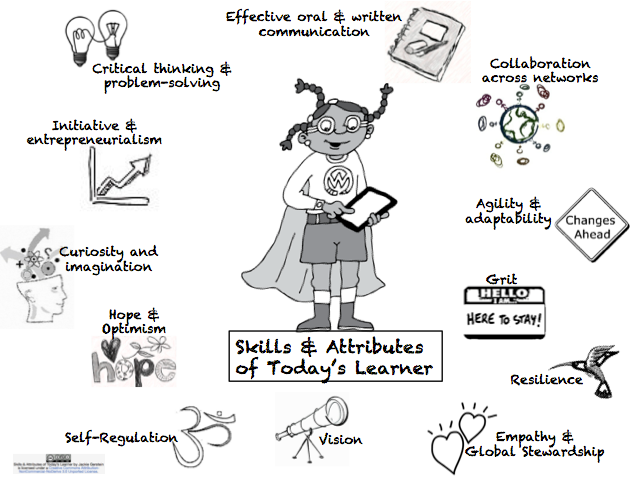 We know 21st century educators are student-centric, holistic and they are teaching about how to learn as much as teaching about the subject area. We know too, that they must be 21st century learners as well. But highly effective teachers in today’s classrooms are more than this - much more. With that kind of pressure—and constant district walk-throughs—it may be necessary for you to fake a 21st century thinking and learning environment to make the right kind of impression with the right people, and give the appearance of forward-thinking. An innovation conference where we can come together, both in person and virtually, to discuss the future of schools. Every session will be an opportunity to discuss and debate ideas — from the very practical to the big dreams. Theis document, drafted by a dozen educators brought together by the MOOC pioneer Sebastian Thrun, proposes a set of “inalienable rights” that the authors say students and their advocates should demand from institutions and companies that offer online courses and technology tools. This project underscores the critical role of our nation’s (USA) museums and libraries in helping citizens build such 21st century skills as information, communications and technology literacy, critical thinking, problem solving, creativity, civic literacy, and global awareness. The modern workplace and lifestyle demand that students balance cognitive, personal, and interpersonal abilities, but current education policy discussions have not defined those abilities well, according to a special report released by the National Research Council of the National Academies of Science in Washington. The classroom of the future is on your doorstep. We’re getting slapped in the face with technology (sorry about that, partially my fault), flipped classroom models, and innovative ideas. So what is the current state of the 21st century classroom? How many teachers have computers in their classroom? What are the 3 biggest reasons to use technology in your classroom? The digital push here aims to go far beyond gadgets to transform the very nature of the classroom, turning the teacher into a guide instead of a lecturer, wandering among students who learn at their own pace on Internet-connected devices. These talks offer insights, concerns, and inspiration while discussing today’s educational practices and shortcomings, from a variety of perspectives. The research and field work covered in this project began in January 2009. Rather than publishing results as a book or white paper, both of which are one-sided approaches to a subject that demands a conversation, an interactive site was chosen as the format. In the 1990s, the National Council of Teachers of English and the International Reading Association established national standards for English language arts learners that anticipated the more sophisticated literacy skills and abilities required for full participation in a global, 21st century community. The selected standards, listed in the appendix, served as a clarion call for changes underway today in literacy education. Today, the NCTE definition of 21st century literacies makes it clear that further evolution of curriculum, assessment, and teaching practice itself is necessary. The purpose of this resource is to provide ”Just in Time” training through an online interface for K-12 educators based on the National Educational Technology Standards for Teachers (NETS-T). These standards are the basic technology skills every educator should possess. * classroom-based strategies for helping students develop the skills. 1. Do you agree that parents just need to get out of the way for their kids? 2. How can "home drive school?" 3. How do you engage the whole family in digital media? 4. How do you live in the moment with kids to support their current interests? Next Generation Learning is a Becta-initiated campaign to transform our education and training system for the better, enabling people to get better results, creating a more highly skilled workforce to benefit the UK economy so everyone succeeds. We have a wealth of advice and tips to help you get the most out of technology and everyone’s talents. This community is devoted to providing an opportunity for those who care about education to share their voices and ideas with others. It's a place for thoughtful discussion on an incredibly important topic. Don Tapscott, author of "Grown Up Digital" and other books on technology trends. An excellent interview (podcast) with Don Tapscott about students growing up in a digital age .... full of optimism ... informed by an very comprehensive survey of youngsters. The report, 21st Century Skills, Education & Competitiveness, finds that the United States, in order to be globally competitive and for states to attract growth industries and create jobs, requires a fresh approach to education that recognizes the importance 21st century skills play in the workplace. Sponsored by the Partnership for 21st Century Skills, Ford Motor Company Fund, KnowledgeWorks Foundation and the National Education Association, the report notes that the country’s economic output has changed dramatically over the past 30 years and there is no sign this trend will stop. Many educationalists have come to the view that in order for learners to engage with their education in the 21st Century, they need to have greater access to the technology that is now embedded into their every day lives. The young learners currently starting school are among the first learners who were born in the 21st century. They are learners born into a world where mobile devices, games consoles, the internet, interactive TV and constant 24-7 multimedia are common place. How will our current educational system respond to this change in our way of life? 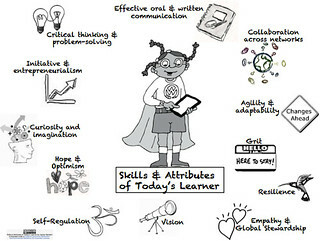 [PowerPoint Slides] Asked to do a 'future of learning' presentation, outlining the drivers of change in the school system, I tried to show that while schools will certainly change, for every driver there is a "back-seat driver" which removes the inevitability of change, placing a series of choices into the hands of teachers. Every day companies and organisations make decisions, that is, strategic decisions of great importance for the future. Decisions that often have to be made quickly. Contributing with knowledge and inspiration, the Copenhagen Institute for Futures Studies supports decision-making. We identify and analyse trends that influence the future nationally and internationally. Through research, analyses, seminars, presentations, reports, and newsletters, we give advice on the future. The objective of the Copenhagen Institute for Futures Studies is to strengthen the basis for decision-making in public and private organisations by creating awareness of the future and highlighting its importance to the present. The work of the Institute is interdisciplinary. The staff represents various fields of academic and professional backgrounds such as economics, political science, ethnography, psychology, engineering, PR and sociology. There is ongoing debate as to what role technology should play in the classroom. The concerns become ever greater when researchers discuss early childhood education. We are exploring the possibilities for the Classroom of the Future by partnering with students and teachers at The Center for Young Children in College Park, Maryland and Yorktown Elementary School in Bowie, Maryland. The aim of this five-year National Science Foundation funded project is to foster innovation in both the development and use of new educational technologies. Research in the area of educational technologies generally focuses on the impact technologies can have on children and teachers, as opposed to the impact that children and teachers can have on the development of new technologies. The Center for the Future of Teaching and Learning is made up of education professionals, scholars, and public policy experts, who care deeply about improving California's public schooling. The Center was founded in 1995 as a public, nonprofit organization with a clear purpose: to increase the capacity of California's teaching work force to provide a rigorous and balanced curriculum that challenges students' learning potential and ensures their continuing intellectual, social and ethical development.